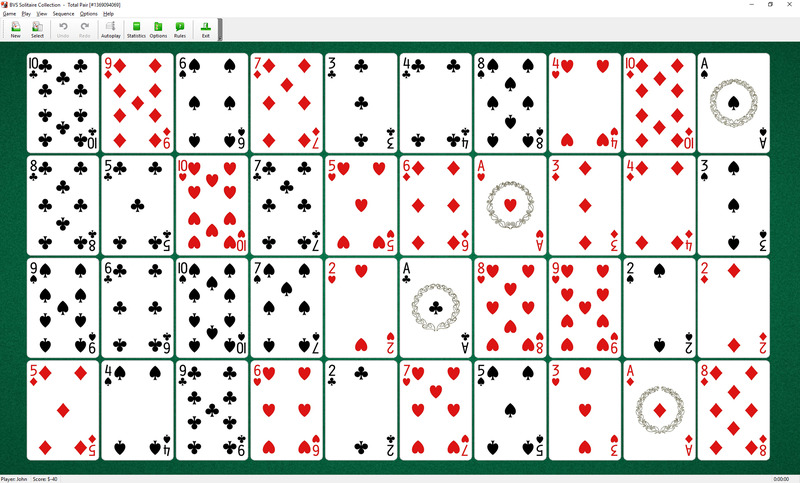 Total Pair Solitaire uses one stripped deck (40 cards). Jack, Queen and King of each suit is removed from the deck. All cards are dealt face up in a row, left to right, one card to a pile. 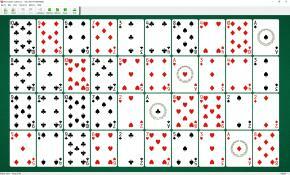 Discard any pair of adjoined cards whose sum of rank is an even number (for example: 8 and 6, 9 and 3, 4 and 10, 5 and ace). Select the pair of cards to be discarded by using the mouse.